These issues are further complicated by issues of water access and affordability, alterations on the land, and other related environmental hazards that run the risk of affecting water supplies. Using participatory action research, technical and scientific data, legislative initiatives, legal proceedings, administrative engagement, and education of Ohioans -decision makers and citizens alike – the OEC works to ensure Ohioans have access to safe, clean, trustworthy drinking water supplies. 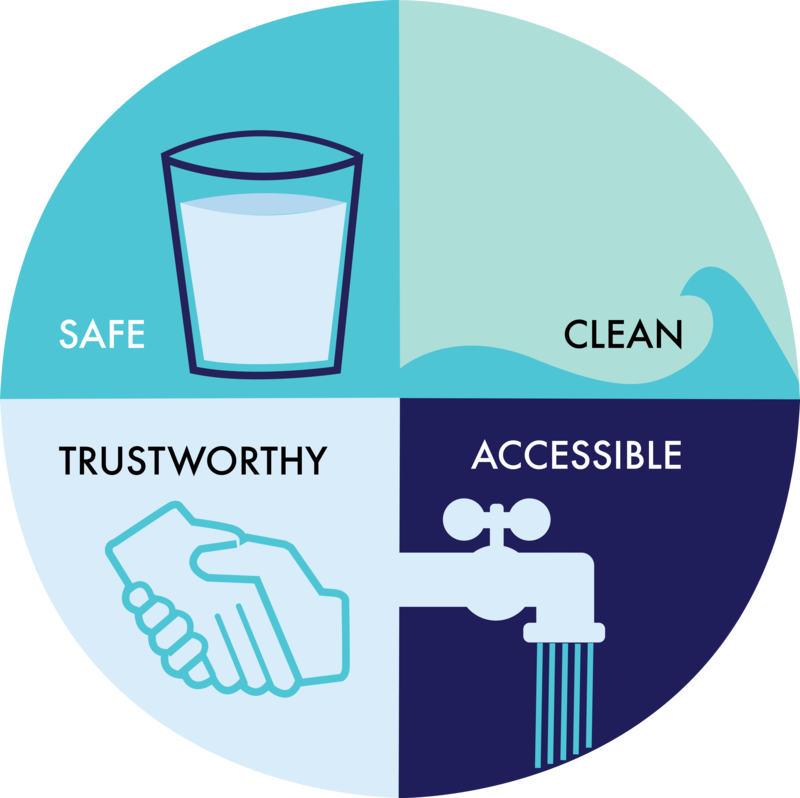 Safe drinking water requires protection from the source to the consumer. Part of that process is ensuring the infrastructure responsible for delivering drinking water and removing wastewater is well maintained. Ohio’s estimated drinking water and wastewater infrastructure needs exceed $12.2 billion and $14 billion, respectively. Localities develop plans to help reduce pollution and contamination of streams, lakes, and aquifers. Water quality and safety begins at the source. Source water protection requires action at every level of government to ensure that surface and groundwater–collectively, the “source” drinking water supplies– are protected. The federal government sets minimal water ambient quality standards for pollutants in surface water supplies. The State, carries out primary enforcement responsibility to make sure Ohio’s water quality standards are maintained through the issuance of wastewater treatment plant permits and pollutant discharge permits which allow for discharge into waterways. The mere threat to water quality or potential for a water crisis caused by lack of access to a safe and clean water supply can undermine consumers’ trust in their water supply. A full-blown crisis, like the one that occurred August 2014 in Toledo, has long lasting effects on consumers’ trust in municipalities and facilities to provide drinkable water. Attend training and learning opportunities to be better stewards of the environment and consumers of water related knowledge. Ohioan families must not only know that their source water is protected, their water infrastructure systems are top-notch, and the water from their faucet is safe, but that water will be accessible, also. Consistently delivered through water infrastructure without shutdowns or shutoffs. Seen as a right and a necessity that is, therefore, affordable.